It’s a time tested and proven adage: a lot can happen over the course of one year. It’s also a cheesy adage at that, but we sometimes get so caught up in thinking about the future that we fail to remember all the nuanced change that we’ve seen, and in some cases been a big part of. Downtown Vegas changes by the minute, and we are here to celebrate some community changes as well. On October 25, 2013 we hosted the first annual Tech Cocktail Celebrate at MEET LV in Downtown Vegas. As the days tick by, we’re fast approaching the second annual Tech Cocktail Celebrate due to kick off on October 6, 2014, and to honor the Downtown Vegas Community we wanted to take a look back at some of the momentous changes that have occurred since we last gathered. Like the shifting sands of the desert itself, Downtown Vegas has seen its fair share of change. Along the way we’ve had entrepreneurs relocate to the community, we’ve said sad goodbyes to companies, and new pockets of innovation have popped up where we might least expect them. Throughout it all the overbearing mentality from nearly every single member of the Downtown Vegas Community has been that of celebration – a celebration of things past, present, and future. This is the spirit we embody with our Tech Cocktail Celebrate event, and we’re looking forward to this October when we can come together as a community once more. October 25, 2013 – The first annual Tech Cocktail Celebrate comes to a close as Maxwell Health is named Tech Cocktail’s hottest showcasing startup in the country. November 20, 2013 – Kanye West publicly disses Zappos saying they sell sh-t products. Zappos responds deftly and satirically by releasing the Sh-t Product for $100,000. November 25, 2013 – The Downtown Container Park opens its doors for the first time. December 4, 2013 – Local Motors joins the Downtown Vegas Community. December 19, 2013 – Project 100, currently rebranded as Shift, announces that Tesla will build a Supercharger station, now complete, in Downtown Vegas. December 30, 2013 – Zappos adopts a new management style: Holacracy, a comprehensive practice for governing and running purpose-driven, responsive companies, after moving into their new HQ in early October. January 7, 2014 – Tech Cocktail goes live on the air with KNPR to discuss CES 2014 and how it relates to the Las Vegas Tech Ecosystem. January 10, 2014 – Among the countless epic happenings at CES 2014, the floor is dominated by the connected car and connected home trends. February 16, 2014 – Reddit founder Alexis Ohanian speaks as part of Downtown Project’s Downtown Speaker Series. March 20, 2014 – Burning Man Artist Schoot ‘Skeeter’ Cohen builds the Life Cube in Downtown Vegas and encourages community members to express their art on it. In Burning Man fashion he burns it down after a week. April 4, 2014 – Rick Duggan founds a programming group for kids in the Downtown Vegas community. April 4, 2014 – Brett Bond of Livespark declares that he wants to make Downtown Vegas the fire capital of the world. April 7, 2014 – The Downtown Project releases their new Downtown Ticker App. April 21, 2014 – VegasTech.com gets a facelift from local companies Tabeso, Switch SUPERNAP, and Work in Progress. April 25, 2014 – Rick Duggan leaves Zappos to join Rolltech, a company he was an advisor for, full time. May 13, 2014 – Downtown Vegas hosts the Collision Conference. June 16, 2014 – Local Motors creates the world’s first 3D printed car in Downtown Vegas. June 20, 2014 – Zipcar Films releases their short film Betting on Innovation: The Revitalization of Downtown Las Vegas. June 27, 2014 – Local Motors’ Rally Fighter car appears in the summer movie Transformers 4: Age of Extinction. July 9, 2014 – Tech Cocktail releases a new and improved guide to Downtown Vegas for SXSW V2V. July 30, 2014 – The Downtown Vegas Community rallies around Ticket Cake to wish them a fond farewell. 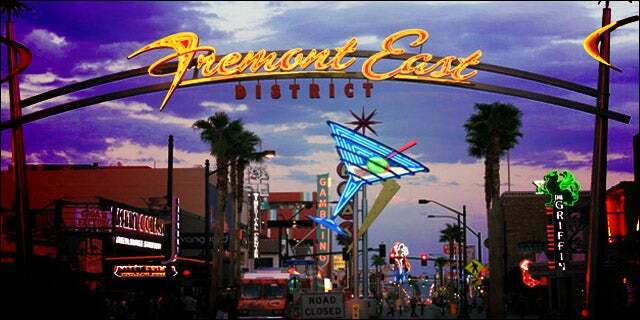 July 30, 2014 – Freak’n Genius relocates to Downtown Vegas from Seattle. August 3, 2014 – Zappos unveils their new service, #AskZappos, to help shoppers better find products. August 7, 2014 – The Mill syndicates their monthly newsletter via Tech Cocktail for the first time, announcing the companies they have funded with $5,000. August 11, 2014 – Factorli, the urban hardware manufacturing startup, closes their doors. September 3, 2014 – Tesla chooses to build their Gigafactory in Nevada over California. October 6, 2014 – Second Annual Tech Cocktail Celebrate kicks off.